A couple of days ago a user asked us to help them find a post id. While working on WordPress, you may come across situations where you will need to find a post ID, category ID, or tag’s ID. 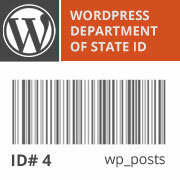 An ID is a unique number which identifies that particular item in your WordPress database. In this article we will show you how to find post, category, tag, comments or user ID in WordPress. WordPress uses MySQL database to store and retrieve data for your website. Learn more about how WordPress manages your database in beginner’s guide to WordPress database management. 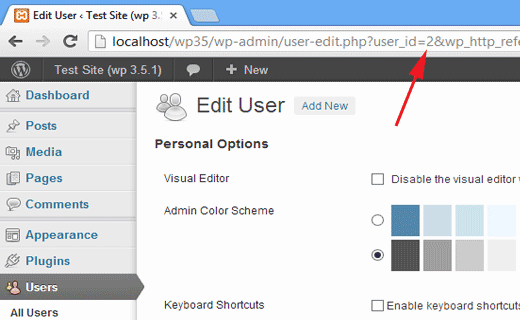 The same method can be used if you want to find page ID in WordPress. The only difference would be that you have to go to the Pages menu instead of Posts. 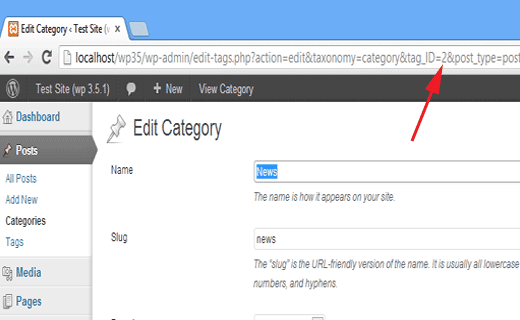 Finding a category ID, tag ID or another custom taxonomy ID in WordPress is very similar to finding a post ID. For example, to find the ID of a category, go to Posts » Categories and click on the category name. WordPress will open the category in an editor, and you will be able to see the category ID in your browser’s address bar. Notice in the screenshot above that even though we are editing a category, WordPress still displays category id as tag_ID. Don’t get confused by this. All categories and tags, are actually terms inside a WordPress taxonomy. They are all handled by the same editor. If you edit a tag in WordPress you will see the same URL format except taxonomy parameter will have post_tag instead of category. Similar to other items we discussed above, a user ID can also be found by editing a user. Go to Users » All users and click on the user name. 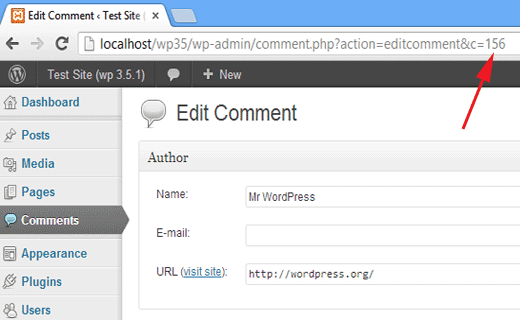 WordPress will open the user’s profile and you can get the user ID from browser’s address bar. 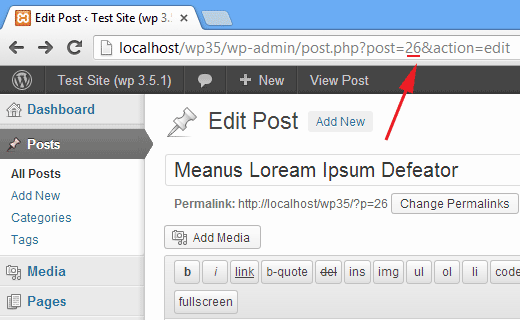 We hope this article helped you find post, category, tag, comments and user ID in WordPress. If you have any questions or feedback, then please leave a comment below. I wish they add a feature of getting ID just like name in many places on dashboard, heavy to load then? too may calls? How did I forget about GET url that displays the IDs? You didn’t show how to find the tag’s id. Is anyone know how to find the tag id? 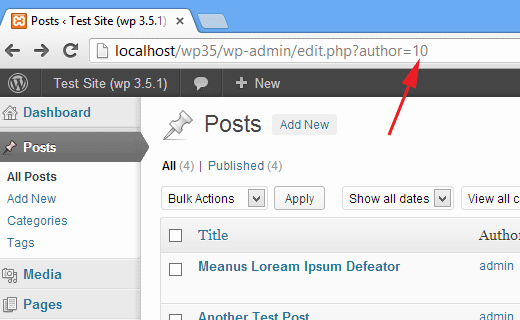 Please see our guide on How to find post, category, tag, comments, or user ID in WordPress. I’m trying to find a user id, this is what my url looks like when I’m editing the user. Can’t see anything in there that might be a user id! I found the video very helpfut. How to find the siteID of a wordpress site? Hi,,How can i find a particular post in the post list if i have the post ID number? Looks like you have to login with another username to check your own user id. Great Post, I was wondering to check the IDs of categories. Note that finding the user id via ‘Edit User’ won’t work unless he has written at least one post. Very nice post, If i want to change any post or page id, then what I need do? Thanks for suggesting my plugin.